I was raised in a family where my mom loved me unconditionally. She listened to me objectively and provided emotional support throughout my life. My dad’s way of showing love was by giving things to my siblings and me. After all, the man’s job was to be the “provider,” and there seemed to be a blurred line between providing and showing love. So how do you as a parent define and draw boundaries for your child to make them feel loved without giving them everything they want? What most people mean when they refer to a child as “spoiled” is that the parents indulge their child too much. Whether it’s through gifts or giving in to their child’s every whim, a parent who spoils their child rarely says, “no.” Over time, this leads to the child making outrageous demands and insisting that they get their way all the time. When a child gets to the point of throwing tantrums and displaying meltdowns every time they don’t receive what they want, it’s important to take notice. Remember, your goal as a parent is to guide and direct your child into responsible behavior as they journey into adulthood. There is a tendency to judge other people’s children’s behavior without fully understanding the complete story in the family dynamic. 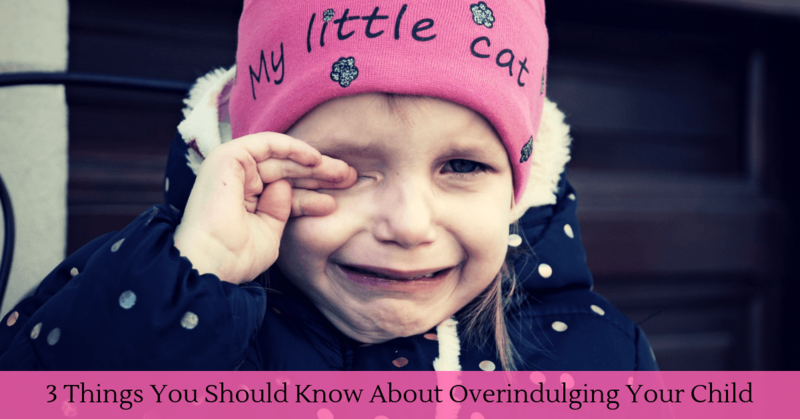 The terms, “overindulge” and “spoiled” can be damaging to a child, so beware of passing judgment. However, you do have control and complete knowledge of your own situation. You’re aware of your child’s temperament, how he reacts to circumstances, and can successfully develop a plan to be loving but also teach boundaries without giving in to every demand. Suffice it to say that you want to raise a child who is respectful and has the emotional tools to navigate the complications that life can bring. The key is giving yourself to your child, rather than giving them “stuff” to make up for feeling inadequate in some way. Spend quality time with your child, and give them unlimited love. Shower them with hugs, kisses, and affection. Let them know you love them and love being around them. Build up their self-esteem by raising them with confidence. Give your child the things they need in life to succeed, but resist the urge to buy them everything they want. Even if you have the financial means to give them everything they ask for, it does a child good to hear the word “no” now and then–this prepares them to live in a world where they will not expect handouts, nor feel entitled to anything that isn’t rightfully theirs. Your job as a parent can be incredibly demanding but will bring joy and satisfaction as you watch your child grow into an independent, loving and selfless adult who contributes to all that’s good in our society. Pam Myers received a BsEd in Education and her teaching credential from USC and was a 6th grade teacher for 13 years for the Ocean View School District in Huntington Beach, CA. She and Dr Bob met at USC and were married in 1971. Pam is the proud mother of two grown children, Lauren, who is a Special Education teacher in the La Habra School District and a son, Greg, who is a TV and Film editor. She retired from the public schools to raise her family and has continued to work with children and families through various activities including serving as a PTA president, working with OC Philharmonic Association to bring music education to children and is serving in the youth ministry at her church. Pam and Bob worked as a team on his radio shows and she provided management support in his private practice. Painting and live theater are her passions as well as the protection of children and animals.